Looking for sublimated team apparel for the 2017/18 season? 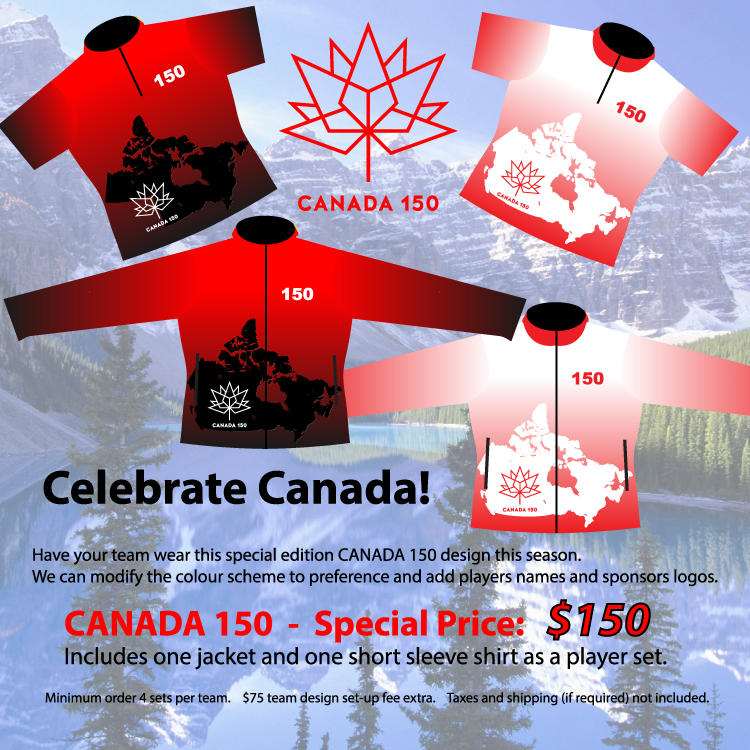 Take advantage of this special offer for a special edition team jacket and shirt set and celebrate CANADA 150 at the same time. The CANADA 150 design is a special edition for this season, we are able to modify the colour scheme to suit your team, we can add players names and sponsor logos. The special price of $150 includes 1 jacket and 1 short sleeve shirt as a players set. Minimum order 4 sets per team. $75 team design set-up fee extra. Taxes and shipping (if required) not included.